Join other book-lovers for a walk in the Saffron Walden countryside to discuss ‘The Pine Barrens’ by John McPhee. The Pine Barrens are so close to New York that on a very clear night a bright light in the pines would be visible from the Empire State Building. New Jersey is one of the most densely populated US states, but unknown to many it is also home to a vast wilderness, a forest of pines, oaks and cedars almost identical in size to the Grand Canyon. This is the Pine Barrens. People tend to think of New Jersey as a suburban thoroughfare, yet huge sections of the Pine Barrens remain uninhabited. The sandy soil is too acidic for farming, but beneath it lies an immense natural reservoir of soft pure water, while millions of wild blueberry and cranberry bushes grow amongst the trees and alongside the rivers. 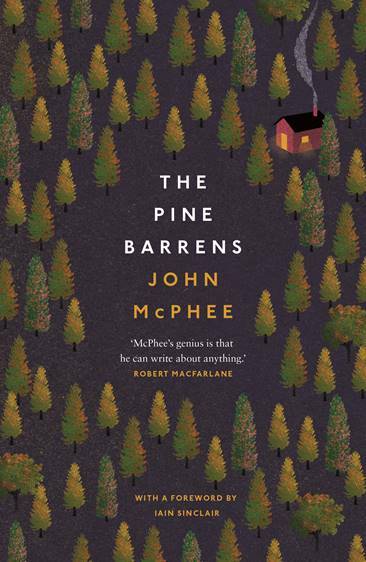 The Pine Barrens is a compelling portrait of a place and its people, captured at a crucial moment when it seemed headed slowly toward extinction. Children, dogs and friends welcome! Suitable footwear recommended!